Just connect plug in the included 18W wall charger and you’re done. No assembly required. 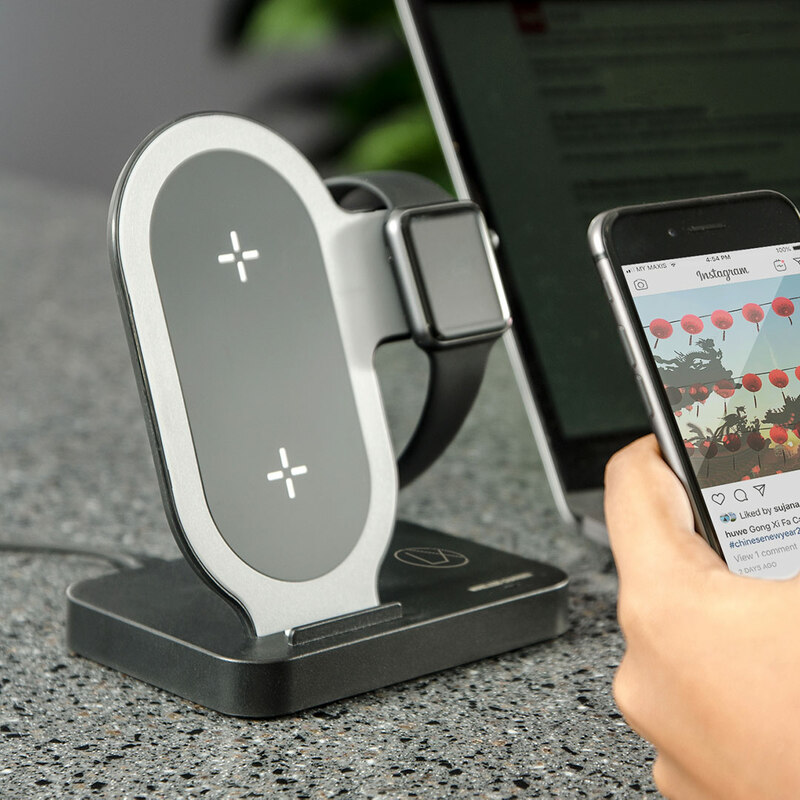 Place your devices on the stand and enjoy wireless charging. 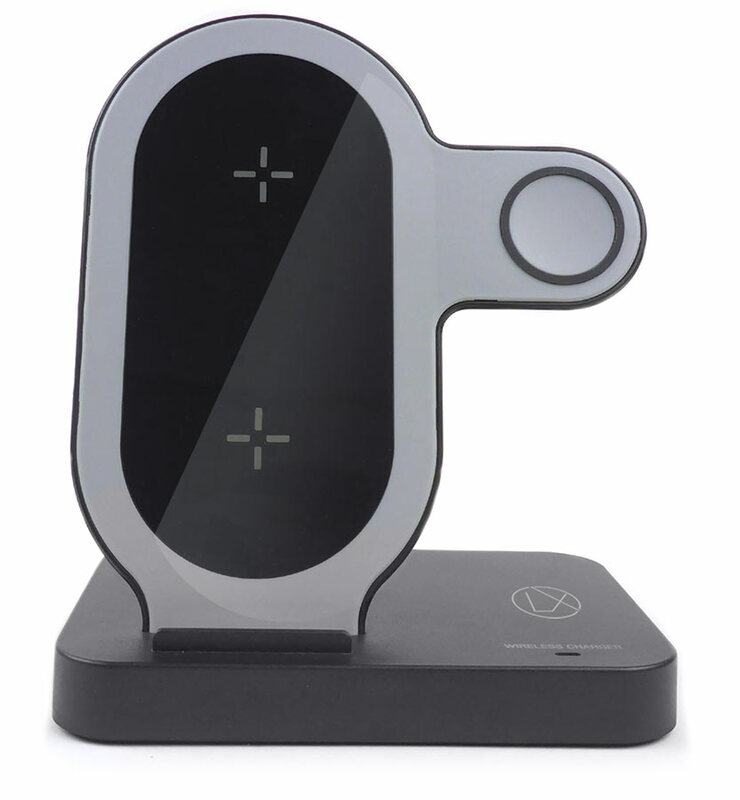 Works with all iPhone 8/X Models and other qi-ready phones. Charge a third device (like AirPods) using the USB output at the back. "By far the best product in it’s class! 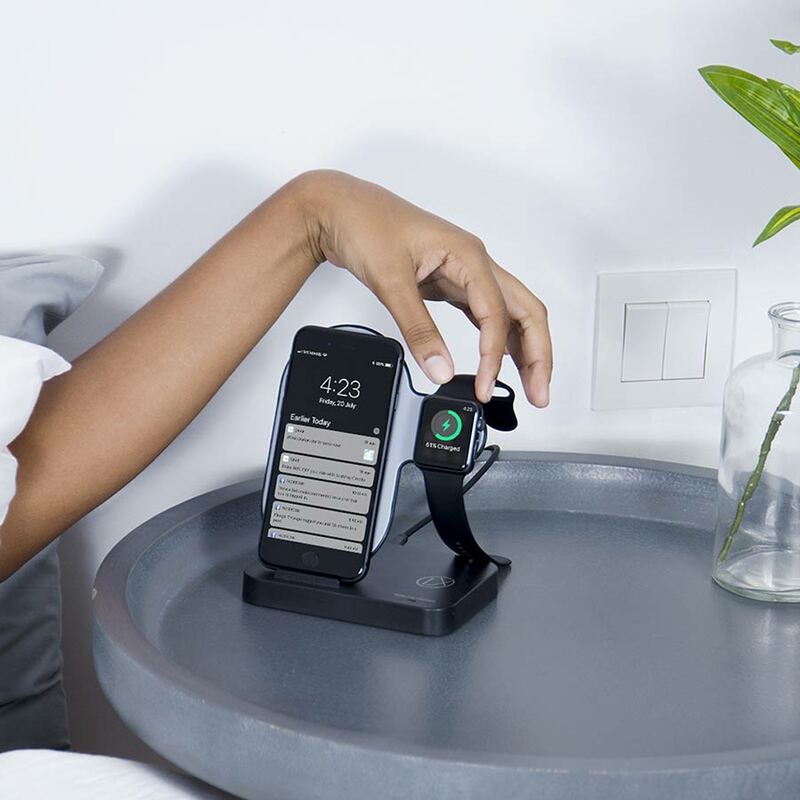 The product will charge the phone and watch at the same time. Your phone does not have to be turned on for it to charge. 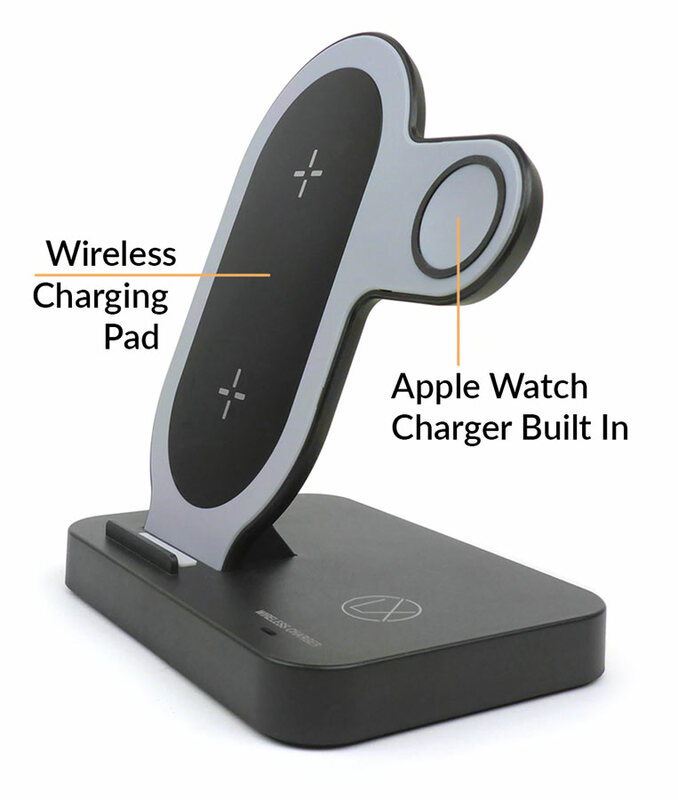 Lastly the charging range is super far allowing my phone to have a case on and it still be able to charge perfectly." 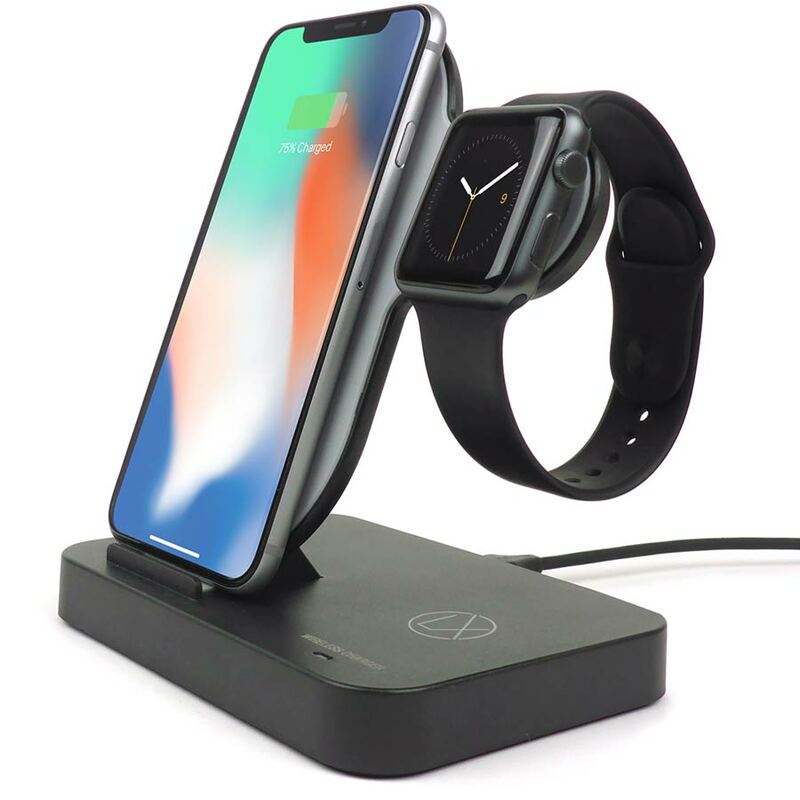 "Love it, it charges both my iPhone XMax and also my Apple Watch. Came on time, excellent quality." You won’t miss having to track down and plug in wires. 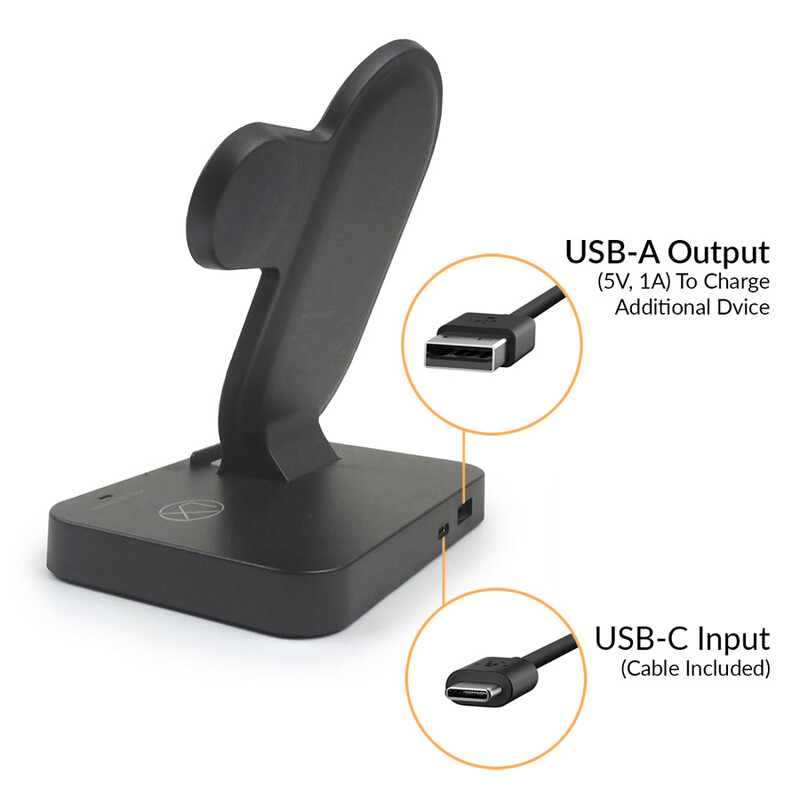 No more cord clutter on your counter top or night stand. 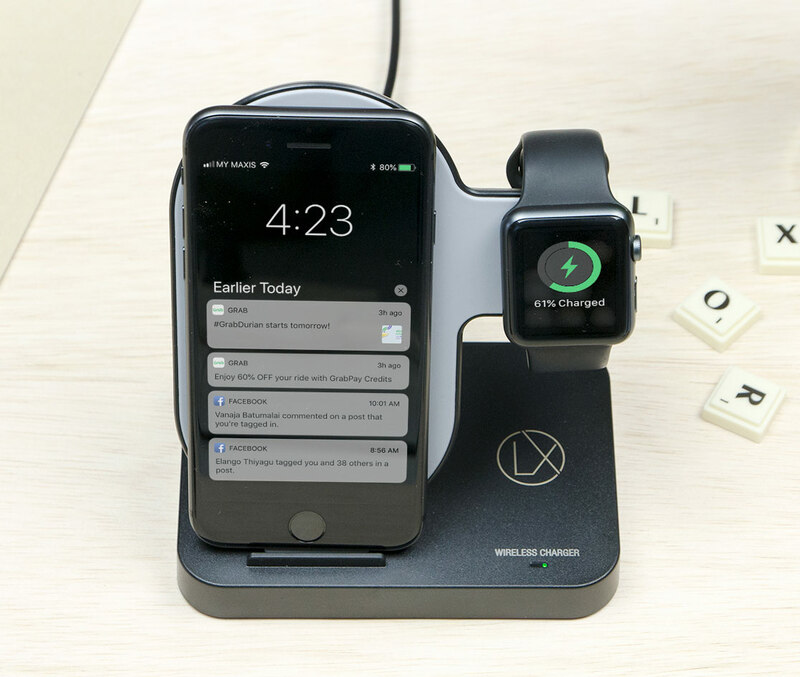 Keep both devices at a comfortable viewing angle so you can check your notifications without having to pick up your phone.